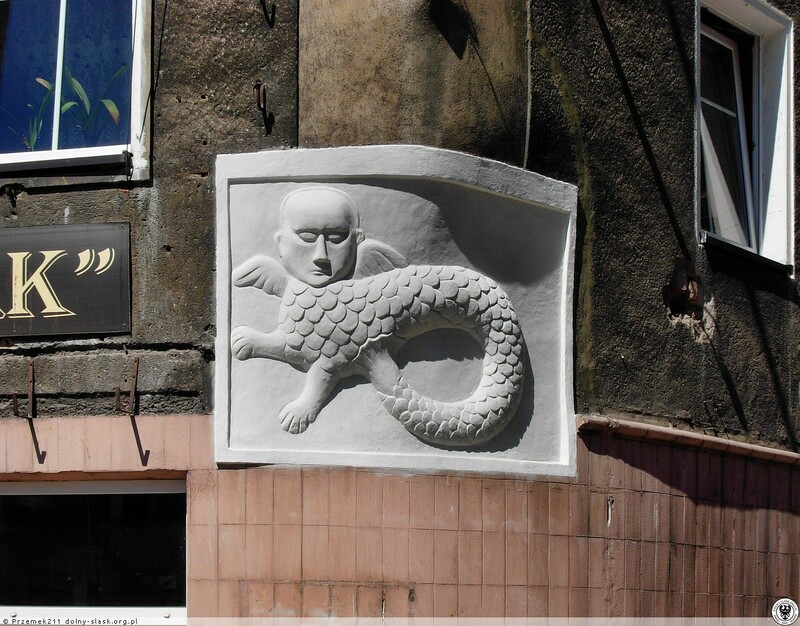 So, I found this interesting sculpture on one of the buildings in my home town. I was wondering what the creature could be. I looked into the history of the building to find that it was built by a rich merchant who had travelled the world so this could be anything. -Human head, fish/scaly body and tail (curved tail), and paws of a dog or lion, and two small wings. This is a very unusual creature; it has some of the features of a siren, but the paws seem to rule out that possibility. Some illustrations of sirens, however, do show them as winged. Mermaids are never depicted with paws and wings. Superficially, at least in its stance, this image resembles the winged Lion of Saint Mark, symbol of the city of Venice for a thousand years. But the Lion of Saint Mark did not have scales...Yet, the Venetian Republic dominated sea trade in the Mediterranean and Adriatic for many centuries; perhaps due to its association with marine life (Venice was known as "the Bride of the Sea"), this hybrid image was created. It is also possible that the creature in the photo is simply a degraded imaginary representation of a dragon. Please take a look at the Wikipedia article "Atargatis", describing an ancient goddess with a human head and a fish body.